Our client is a leading manufacturer of agricultural machinery with a history of almost two centuries. As a world-class company, the client expects its security systems to be cutting edge. Yet in mid-2010, two of the client’s Australian sites still did not meet the company’s global security standards. In 2010 they approached ICD to assist them with security system retrofit projects for each of these sites. The sites, one in Brisbane and another in Melbourne, were still using first generation security systems in urgent need of an update, so the client turned to ICD Security Solutions, their security solutions vendor of choice. The client’s Brisbane site consisted of two buildings in the same compound, each housing one of the client’s subsidiaries. On the compound perimeter were two gates. While one of the subsidiaries was originally earmarked for a security upgrade as part of a major renovation project, it was later decided that the second subsidiary also needed to comply with The client’s global security standards. The Melbourne site combined a warehouse and a small office, with three gates around the perimeter. At the Melbourne site, structural deficiencies precluded the implementation of a comprehensive security system. As ICD had already worked with the client on numerous projects throughout China and India, we were already intimately familiar with the global security standards of the corporation. We therefore advised our client that Pelco CCTV cameras and the latest Lenel access control panels used in conjunction with the highly sophisticated IP base AV Intercom System from Commend were necessary to ensure that security system for each site was truly cutting edge. In fact, Commend’s AV Intercom System made its global debut as part of this solution. At the Melbourne site, we resolved the structural issues by erecting an array of bollards and poles to facilitate total CCTV coverage and the installation of new access controls. Fiber optic cabling was also installed to bridge the rear gate CCTV equipment and the back end user apparatus, an element of the project that was essential to ensure that the site met the client’s global standards. Card readers were also installed in multiple locations, including the connecting doors between the office and the warehouse, in order to monitor time and attendance more effectively. 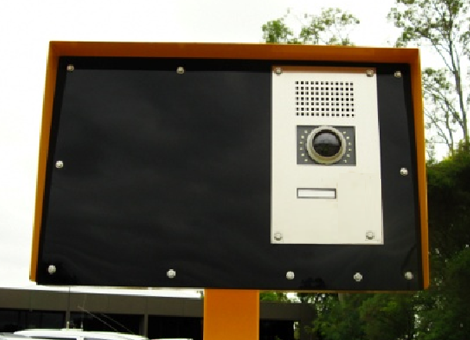 Following their completion, the security systems at both the Brisbane site and the Melbourne site were judged fully in line with The client’s most up to date global security standards, making this the first time that these standards had been implemented in any of the client’s Australia operations. What is more, ICD was able to complete each project in record time, with both solutions fully implemented by the end of 2010. This was in part due to our long experience working with the client on numerous projects since 2005 and we had access a comprehensive network of local vendors and contractors based in Sydney, allowing our company to implement security systems for each site with the maximum efficiency. Looking forward, ICD shall continue to strive to support The client’s global security needs. We understand that cutting edge businesses require cutting edge security solutions and we are proud to create one of the world’s premier machinery companies. First time global standards were implemented for client’s Australia sites.